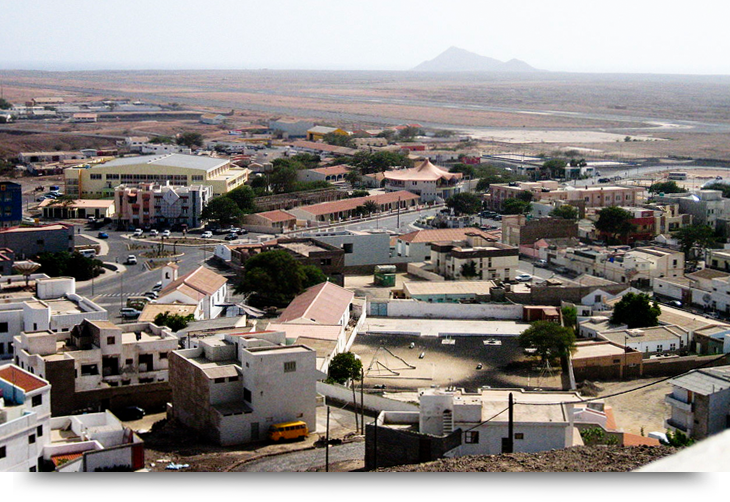 Espargos is the main capital of Sal, Cape Verde islands, located about 2km north of the airport. There are buses, or mini vans, driving the rout from Santa Maria on a daily basis. There are also bus connections from Espargos to fishing town Palmeira in the west coast. Espargos means “asparagus” and refers to the wild vegetable asparagus stalk with its bright yellow flowers, which grows in sandy areas around the island. Most houses are low with a maximum of 2-3 flors. The whole town gives the feel of “old town”, with colorful crocked houses and narrow alleys. There are some low standard hotels, restaurants and joints, but don’t expect anything fancy or finding a Gucci boutique anywhere nearby. There are no skyscrapers, shopping malls or casinos, more of smaller shops and supermarkets. There is a slum area just north of Espargos. The poverty is obvious and locals are living in selfmade sheds made of anything they can find. There is a sandy road through this area, heading from Espargos towards Terra Boa. And although some tourist take this rout it must be said that people have been robbed here. Be careful.